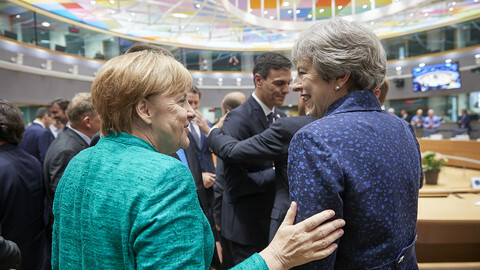 British prime minister Theresa May Wednesday evening (17 October) told EU leaders she is ready to consider extending the Brexit transition period to three years. 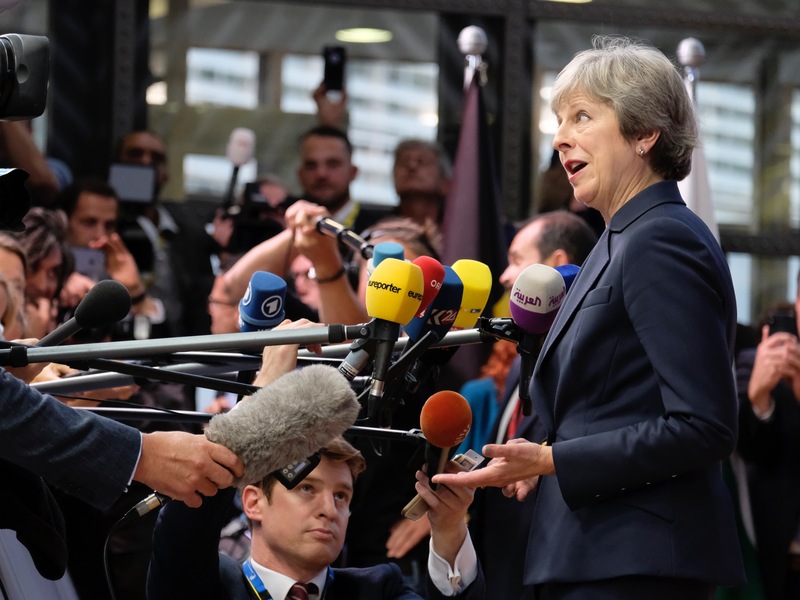 May gave a 15-minute speech, according to EU officials, before the EU-27 broke for dinner and more Brexit talk. However, according to the European Parliament president Antonio Tajani, who was also in the room, May offered no new ideas. "I did not perceive anything substantially new in the content as I listened to May," he told reporters after the meeting, adding that May's tone was more relaxed than at the summit in Salzburg in September, as was her message of goodwill and readiness to reach an agreement. That more positive atmosphere was echoed by other EU officials, saying May appeared to show greater understanding for some of the EU's concerns, including Ireland's need for an insurance 'backstop' to avoid a hard border with Northern Ireland - the key stumbling block so far in the talks. "The mood was good, we are cordial and respect each other and Theresa May is a formidable politician," Dutch prime minister Mark Rutte told reporters after the dinner. "I am still cautiously optimistic [about the deal]. But the problem is we cannot have a border in Ireland between the Republic and the province [of Northern Ireland]. Nobody wants that and the UK doesn't want a border in the Irish sea," he said, adding that the EU wants a close relationship with the UK, but not at the expense of the single market. 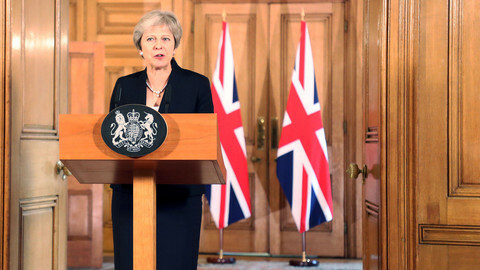 May also said that the UK is ready to consider extending the transition period after Brexit day, in March 2019, to up to three years, from the current two, according to several officials. An further year could help the UK and the EU negotiate a future trade deal, and could ease the burden for May on agreeing to a so-called backstop on the Irish border issue that would keep Northern Ireland in the customs union and the single market for goods. 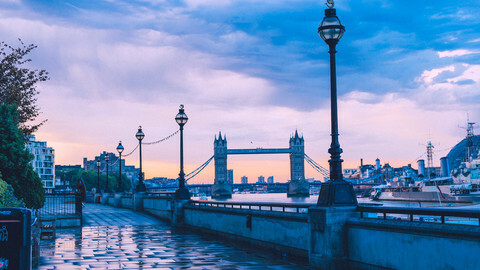 It would also, however, tie the UK to EU rules and trade agreements, and would require that London continues paying into the EU budget during the grace period. 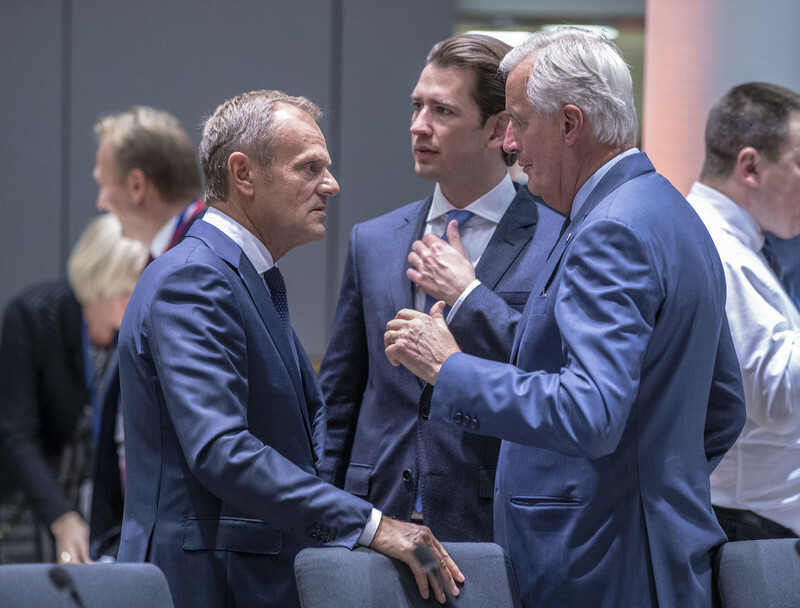 EU leaders then listened to chief negotiator Michel Barnier's assessment of the talks that broke down last weekend over the Irish border issue, where both sides have committed to avoiding a hard border on the island of Ireland. 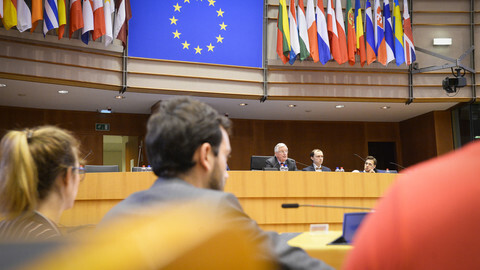 The 27 heads of government also listened to EU commission president Jean-Claude Juncker's presentation on preparations for a no-deal scenario. 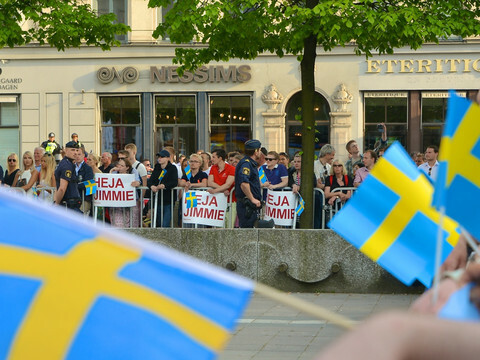 Leaders have not yet decided on whether to call for an extra summit in November in order to close the deal, or to discuss further preparation plans in case an agreement is not reached. They agreed to call a summit if Barnier decides there is "decisive progress" in the talks. 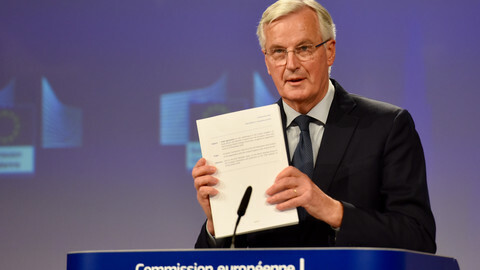 Leaders reaffirmed their confidence in Barnier, seen as a snub in the face of the UK's efforts over the summer to go behind the EU negotiator and make deals with member states instead. May also met with Juncker and EU council president Donald Tusk earlier on Wednesday. Tusk on Tuesday called on May to bring new, concrete proposals to Brussels on the Irish border question, but May did not present anything new in her speech. 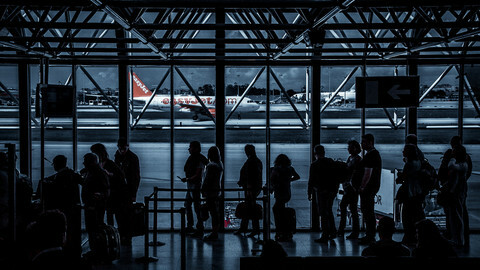 The future employment rights of the 3.6m EU nationals living in the UK have been plunged into uncertainty by a British minister.